2016 was an AMAZING year for the Toronto home owner. Whether you owned a condo, townhouse, semi-detached or detached home, you made A LOT of money. The detached home market was by far the most successful, with the average price climbing by 23.7% in the 416. 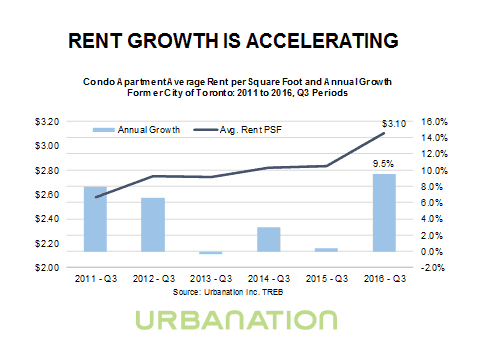 This was followed by Townhomes at a 23.5% increase, then CONDOS up 16.6% and lastly Semi-Detached Homes up 8.4%. In fact, I have gone back several years looking at the reports from previous years, and I don’t think there has EVER been a year this good. So what does that mean for 2017? A few weeks back my manager had a Christmas party at his new home in Roncesvalles and a few of us were discussing where we thought the market would go in 2017. All of the other agents I spoke to expect that in 2017 prices will continue to rise. The one thing we didn’t agree on was by how much which went anywhere from about 3% to as much as 10%. My estimate at the time was 8% overall for the market, but to be more conservative I am going to lower that number to 7%. The main reason for this is there are still A LOT of buyers out there and listings last year are still way down. There are a lot of people who don’t want to move because it is expensive (thanks Toronto Councill for our lovely double land transfer tax) and there isn’t much out there for them to buy. Last year the market was at a bit of a stand still for those reasons which meant buyers moving up were extremely limited with their options. The reason I don’t think it will be as high as last year is I think we will start to see a lot more “bubble” articles in the paper, which will lead to many people finally deciding to cash out and I think listings will be up this year. I can’t speak much on markets outside of Toronto, but as a home owner in the city I feel comfortable with my investment. When you look at the US crisis the hardest hit areas were smaller cities which weren’t exactly growing at the rate of a city like Toronto. And when you compare what happened in the big cities in the US in 2008, it really isn’t as bad as you might think. Cities like New York during 2008-2011 prices dropped by about 30%. While I know this sounds like a lot, to put it in perspective my area went up by 25% last year alone. Markets are always going to have ups an downs and there is no way we can sustain 25% gains year after year and eventually we will have a year where prices likely go down, but I don’t suspect that will be the case at least this year in Toronto. There doesn’t appear to be a slowdown in the demand even in January (historically one of the slower months) and I suspect we will still see moderate gains again in the market this year. As for my long term expectations, I think we are due for a slowdown and I think it will be tied with interest rates as they continue to rise. Right now while money is cheap it is still a good buy in my opinion and I have no plans to sell. Her response was in Canada there are way more checks in place to verify the credit worthiness of a mortgage applicant than what was happening in the US before the crisis. She said banks were essentially approving very high risk mortgages and nobody was stopping anything. While she feels interest rates are going to go up, she said it will happen slowly which means less likelihood of triggering any kind of crisis. She doesn’t see anything major happening this year. The new mortgage rules that were originally intended to reduce foreign investment have really hurt the first time buyer the most. Because prices are where they are, it is already difficult enough to be able to afford your first home. 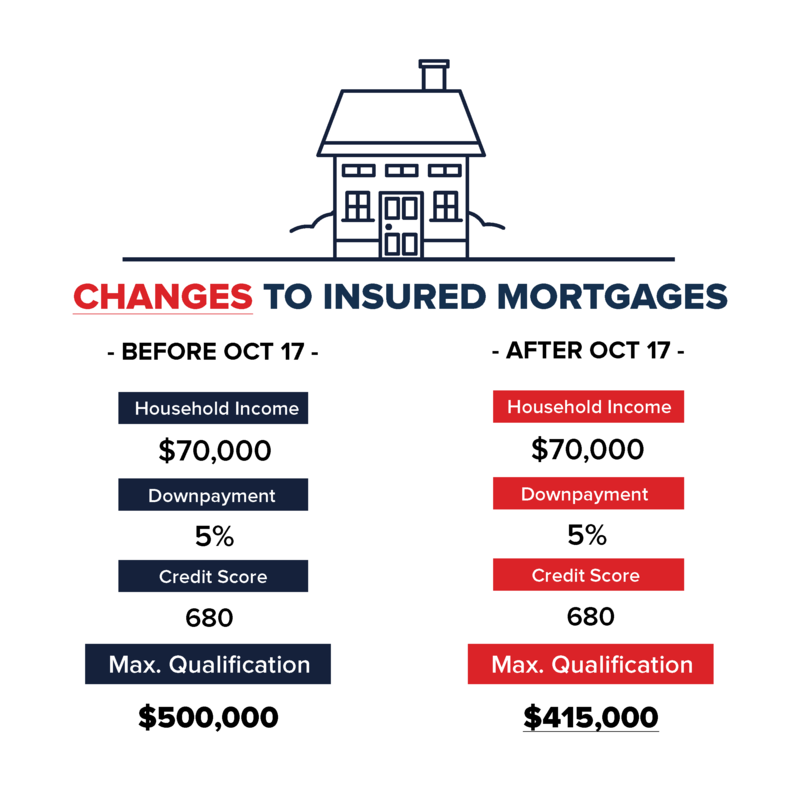 But, that didn’t stop the federal government from implementing a rule that significantly reduces what buyers can qualify for in terms of a mortgage. After these new rules went in, several buyers I was working with could no longer afford what they really wanted and decided to go back to renting or staying at home longer with their parents (sorry Mom and Dad!). Since less buyers are vying for those entry level units, it means price growth will go down in this sector, but it won’t be a complete bust as there will be some buyers making small loans from The Bank of Mom & Dad as well as the new people moving to the city (migrants and immigrants). More than half of the global population (54%) now lives in cities, and by 2050 it is expected to grow to 66%. Toronto’s population is currently growing by approximately 108,000 people PER YEAR and all of those people need places to live. 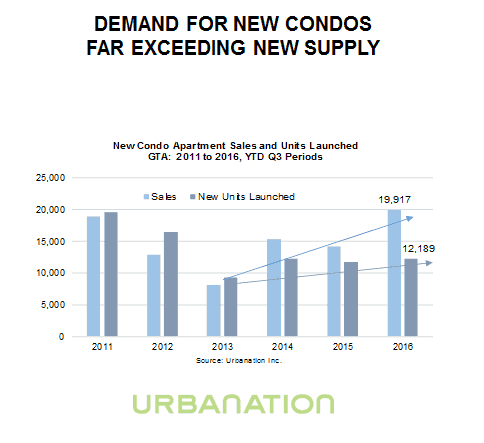 Unfortunately we aren’t building any new houses, and the new condo sector can’t keep up with the demand. Last year the rental market was insane! Most of the rentals I helped clients get went into multiple offers (yes, bidding wars are happening now on rentals) and I estimate the average days on market dropped significantly. I don’t anticipate this will get any better in 2017 since many first time buyers will be priced out of the market and forced into the rental pool which means demand is going to continue to go up. As house prices climb faster than anyone can get a raise at work, buyers will have no option but to look at more affordable options. This means that there will be good demand for larger condos and town homes, especially in the $500,000-$700,000 range. The other reason condos will do well in 2017 is there is an increasing demand to have everything at your doorstep. Younger buyers are trading backyards for luxurious amenities, and the ability to not spend hours in traffic by being within walking distance of work. Also, the number of baby boomers looking to cash out for retirement will continue to rise and they will likely look at the condo market as a place to live comfortably while preserving much of the wealth they have made from their homes over the years. We have had cheap money for far too long, and if we want our dollar to have any value mortgage rates are going to have to go up. I don’t think it will be by a huge amount, but I expect rates will rise somewhere between 0.25% to 0.75% come year end. Thanks for taking the time to read my predictions, and if you have ANY questions WHATSOEVER about the Toronto Real Estate Market, the Condo Market, or where to find an amazing burger in the city, just let me know. If you are thinking about selling in 2017, give me a call at 416-720-0003 as I have several buyers looking. Next PostWhat Do Maintenance Fees Cover?